How do I keep my kid busy? How many times will my kid tell me he/she is bored? What if he/she loses the momentum we finally started to see at the end of the school year? If so, you are not alone. Whether you are working full-time, part-time, stay home, or take vacations in the summer, these questions apply. And there's good news and hard news. "...the state of boredom (i.e., the transitory and non-pathological experience of boredom) should be understood to be a regulatory psychological state that has the capacity to promote our well-being by contributing to personal growth and to the construction (or reconstruction) of a meaningful life." You can check out his whole article here. It's an interesting perspective! He basically argues that occasions of boredom (and not intense or chronic boredom) can be seen as a functional emotional state --- during which children learn to seek out a more interesting activity or become motivated to make a change. He also argues that boredom should not always be avoided. It seems intuitive to think that if we constantly help our children out of feelings of boredom, that they may learn that all boring activities should and can be avoided somehow. Makes you wonder then how the development of persistence and perseverance would be effected. Another strategy is to prepare in advance some imaginative, but not structure activities that can be pulled out. 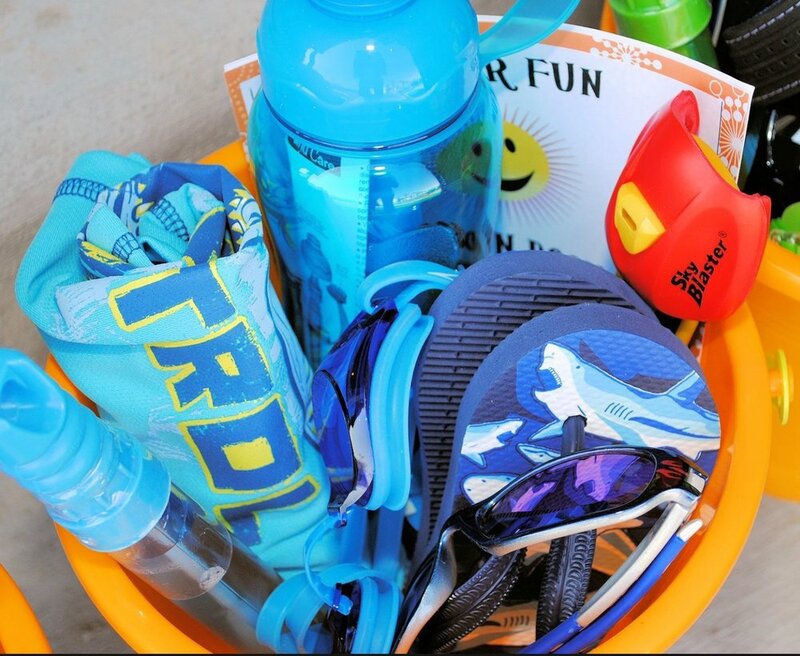 Create a Summertime Boredom Box. Ideally, this would not be directive at all, but would simply have several ideas that lead to possible directions a child could run with. These should not be clear activities, like board games, but odds and ends that could be used imaginatively. But the best solution, according to research, is to get that kiddo outside! You could provide some ideas for what to do out there, or just let them roam. Now, the hard news - kids do tend to lose a bit of momentum from the gains they made in school, especially our kiddos with learning disabilities or ADHD. SO, we need to work on these things throughout the summer. Not as intensely as a school day would require, but even 30-minutes a day or math or reading or writing can help to continue their progress. This can be tough, considering that children do not often want to sit for homework over the summer. So try to make it fun and engaging. It could be a math game they play on the iPad, or a journal they write or a pen-pal letter they keep up with. Reading is critical though and could easily be incorporated as family reading time, or simply starting bedtime 15-minutes early to give time for reading in bed. In general, keep the "tasks" fun and the structure reduced. You will be amazed at how quickly children grow accustomed to these new routines in their day, and you might even be surprised at what they can come up with! For many, the idea of entering a psychologists office can feel like a challenge. As a psychologist, I always hope this is not the case, as I would hope it feels like a positive step in a new direction. For whatever reason a client might come into the office, I am always so impressed with the resilience and determination it takes to move forward with self-help. Occasionally, my clients aren't aware that this is a powerful moment in their lives and instead feel fear or worry. So for those who cannot get themselves into the office in the first place, for any reason what-so-ever, we have decided, as an industry, to add the option of secure teleconferencing for therapy! This is a huge improvement in psychological services as many people are house-bound, live in remote areas, are limited for time and flexibility, and/or feel more comfortable working on their stuff from the comfort of their own home. Not to mention the wonders of technology that have allowed us this new and exciting opportunity to reach so many more people. Everyone deserves the same access to help as those living in cities and those who are mobile. At Little Oaks Psychology, we use a secure telemedicine program, which allows clients to log in, wait in a virtual waiting room, and experience excellent clear communication with their therapist. We are constantly reviewing the legal and security processes involved to ensure the safety of our clients information. No video or audio information is stored when using this program, so your confidentiality is protected. Online e-sessions work well for adults and occasionally for youth, especially those who are adept at using the web already. But the system is easy and intuitive, making it simple for anyone. It can be a great way to bridge into therapy while feeling safe and secure in your own home. It might be a first step, or a way to maintain already formed changes and progress. Having an online counsellor or therapist can be much like coaching. They can help you achieve and manage your goals: personal, psychological, and professional. For another take on why online therapy can be great, see this article from the American Psychological Association. Because we work with registered provisional psychologists who are supervised and supported by registered psychologists, we are able to provide a reduced rate for online therapy ($125/hr) and these services are covered by insurance plans (direct billing is available for BlueCross members). We look forward to seeing some of you online in the future! Remember, we are all human - and that means we all need help sometimes. Finding the right help for you, is key. Worry and stress are a normal part of the human experience. Long before humans lived in cities and had technology as a constant resource, humans relied on some basic behaviours to survive. The experience of stress and worry kept groups together for safety, kept the search for food going, and demanded hyper-vigilance as a way of life. These were clearly adaptive behaviours that resulted in the survival of those humans. When adaptive behaviours lead to survival, from an evolutionary perspective, the same features remain prevalent in future generations. Stress and worry kept our ancestors alive. Another common stress-related term many of us know and "love" ;) is: Anxiety. Especially when viewed as a panic response, whether the experience of panic is constant or less frequent, anxiety can be overwhelming and scary for the person experiencing it. Again, from an evolutionary perspective, being able to react quickly without much logical thought and flee from a large animal to ensure your survival, was a very important trait at some point in history. But in today's age, we don't need to flee (at least not often), and our quick reactions without much logic instead happen in response to exams, presentations, social situations, traffic jams, and relationships. Anxiety is a natural response in the body, but we often place meaning to it. Some people are naturally more reactive and the amygdala (part of the brain responsible for the fight-flight-freeze reaction) is quick! With practice and awareness, this can gradually change. We have now come to believe that a change in perception is the key when it comes to anxiety, stress, and worry. Changing our view of anxiety and its role is not easy, nor is it a short-term process. One must work through this at a pace that feels right for them. Sometimes, through the use of new and very specialized techniques (see Dr. David Burns' T.E.A.M. Therapy approach), we can see change in our clients within a couple of sessions! Other times it may take much longer. This all depends on the issues, how long a person has been struggling with anxiety, whether the issue is ingrained or focussed on a couple of things, and even the amount of time spent working on the issue between sessions. Many contributing factors come into play. Most mental health concerns are not simple or black-and-white. In most cases we need to explore a host of other contributing factors, but generally we can still make significant progress! Anxiety is said to be one of the most treatable diagnoses! While this is super hopeful and we love to share this with clients, it is also so important to recognize that anxiety can be your friend. We are not out to eliminate it completely. We need anxiety to get through the day, to get to work, to achieve our goals! It's when this same anxiety becomes debilitating or takes over you and you lose control of the anxiety - basically, when it stops being helpful and starts being harmful - that we want to help you address it. Coping can and will be achieved with some well-trained and specialized support. It might take only a few sessions to set you on the right track! You too can learn to love anxiety. Learning to accept and embrace it will help with modern day survival, and when it becomes too much, having the skills to cope will carry you through. How do you determine if a child has a learning problem, or is just lacking experience? I wish there was a simple answer - well, I suppose the simple answer could be to get an assessment. BUT, you're probably more interested in how you know if an assessment is necessary. The answer depends on age, experience, opportunities for learning, other learning or mental health concerns, and strategies tried. If your child has difficulty with mood, anxiety, or attention, they might also experience learning problems, or they might not. This is where assessment comes in. If you already know there is an underlying challenge, you might already want an understanding of your child's learning style. But if you aren't sure why they are struggling with learning and you don't know where to start, here's a few signs of possible learning disabilities. Speech or language delays, fine motor delays (e.g.. printing), easily frustrated, forgetful, issues with hearing or vision. Trouble with learning letters or sounds, reading words, writing or printing, mathematic skills, difficulty getting work done in time, difficulty following instructions, emotional after school or at school, refusal to complete tasks, distractible or out of seat during desk work, social difficulties, and seems capable or knowledgable but work production isn't demonstrating this. If a child has not had as much opportunity to learn these things early on, like at home or in preschool, they may be slightly behind their peers and need some extra support. But this would not necessarily mean there is a learning disability. You could try some extra support and practice with the area of learning that is needed, and see if progress is made. A teacher can also help to inform you whether the gap in learning seems age appropriate or if they feel there is more concern needed. If after supports are put in place your child continues to struggle or fall behind, you likely want to consider an assessment. Extra support and practice are helpful for any child. There is of course a balance needed and too much "homework" could amount to greater frustration and refusals from child (and even parents too!). In primary school, 10-15 minutes of extra practice at home is usually plenty, increasing to 20-30 minutes a night in intermediate school. Reading to your child as much as they desire is great in addition to this other practice! Reading to children really does help with learning to read, especially when the child is following along on the page. This was just a small amount of information to help guide you, but if you have any more questions, talk to your school team or your psychologist :) You can always consult and ask questions without being committed to a full assessment! How do we diagnose learning disabilities? This is a great question. The answer is fairly complex and has changed somewhat over the years. Historically, a learning disability (LD) was defined as a statistical difference between a person's thinking abilities and their academic skills (e.g., reading, writing, and math). There had to be a gap of a certain size before a person was said to qualify as having and LD. This previous way of defining LD's was helpful when trying to determine when and where to support a student with a reader, scribe, or calculator. However, it did not provide all the information to help the individual develop skills or understand their learning profile. We now understand LD's to be a neurological, or brain-based processing issue; weaknesses in an area of processing (e.g., speed or memory) that make learning basic skills or complex learning problematic. The Learning Disabilities Association of America (https://ldaamerica.org/types-of-learning-disabilities/) provides comprehensive criteria and assessment processes that we follow. The above link offers more information about the various forms of LD's. An assessment of learning can only be done by examining an individuals cognitive abilities, academic skills, background/medical history, family history, and exposure or opportunities to learn. Social emotional and attention difficulties are typically explored as possible alternatives, contributing factors, or additional concerns, as these are very common in individuals with learning differences, and can often become a challenge when learning disabilities have gone undiagnosed or unsupported for some time. They can also look like LD's when LD's are not in fact present. If you think you or your child may have a learning disability, or some challenge affecting learning, a psychologist can help you understand the profile and possibilities of such challenges. With a comprehensive assessment, an individual can move forward with a plan and supports in place to help them achieve their goals and succeed in life. Please be in touch if you have any questions or would like more information.